The horse is sparkling. It prances around the ring, head held high, its features exaggeratedly pretty, like an equine version of those Big Eyes paintings or a cartoon. When the light catches the animal’s back it seems to shimmer. And that’s when I realise the horse is wearing body glitter. Welcome to Wayne’s world, where even the animals sparkle. 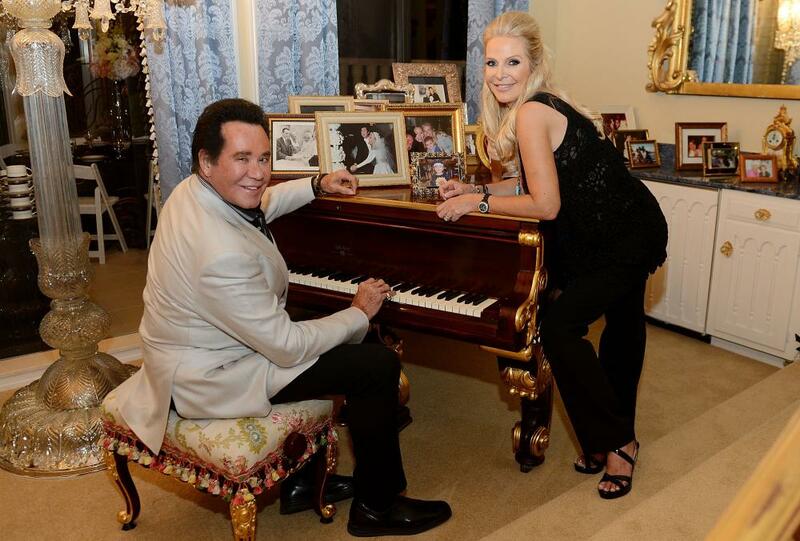 Wayne is Wayne Newton, the American crooner known as Mr Las Vegas who first played the city as a teenager and who, at 73, still sports the nuclear tan and disconcertingly white smile of an old-school headliner and continues to perform around the country. His world is Casa de Shenandoah, a 52-acre oasis 15 minutes from the Las Vegas Strip that, until 2013, was Newton’s actual home. In September it opened as a tourist attraction, a place for Wayniacs (as his obsessive fans are called) and, so far, around 400 curious visitors a day have come to peer into the life of the veteran performer. I am no Wayniac. I came of age long after Newton’s heyday, after he’d descended from primetime to punchline. Still, as a Vegas local, I spent years driving past the estate’s high walls, imagining what sort of wonderland lay beyond. So, on a blazing fall morning I depart the Casa de Shenandoah visitors centre – where guests can watch a video about Newton’s life and pick up souvenirs emblazoned with his eerily smooth face – and watch as an ornate, gilded gate swings open to an alternate universe. Inside this strange kingdom the landscape is carpeted in verdant grass with spewing fountains and pure-bred Arabian horses grazing lazily in the sunshine. It’s so idyllic it feels like stepping into a postcard sent by your grandmother. The first stop on the regular tour ($17.50-$35) is a new museum exhibiting letters from NASA astronauts, photos of Newton serenading American troops, a papal blessing in grandiose script, even a Western Union telegram from President Ronald Reagan wishing the singer a happy birthday. On scattered screens, Newton narrates the exhibits himself, flashing that showman’s grin and sounding genuinely forlorn over the decommissioning of his private plane, which visitors can now climb aboard, planting their butts on his plastic-wrapped cushions. 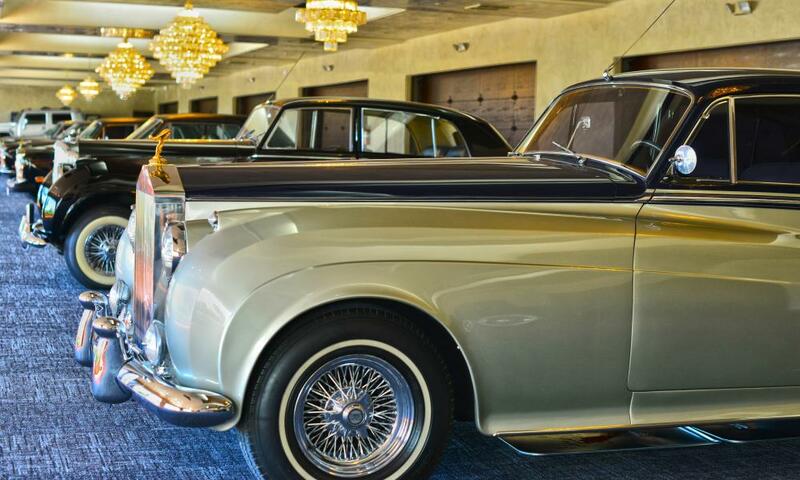 I stroll past Rolls Royces with gold-plated hood ornaments, a decaying couch that appeared in Gone with the Wind, gifts from fellow performers, and costumes from Newton’s early days in showbiz – tiny fringed western outfits embroidered with musical notes. But the memorabilia isn’t Newton’s only collection. He also breeds Arabian horses, 65 of which live on the Shenandoah campus. I watch an eight-year-old mare go for a guided swim in an special pool, paddling its narrow legs and swishing its tail like a rudder while a trainer explains the benefits of equine water sports. And in the “exotics” area, African cranes guard a nest of eggs, while neighbouring cages hold wallabies, penguins and Boo the capuchin monkey. A parrot whistles cat calls as I walk by, and free-range peacocks hop in and out of the pens. Why assemble this bizarre menagerie? Because Wayne wanted to. For $95, visitors can peak inside Shenandoah’s modest original home, tour one of the horse barns and wander inside the “Mansion,” (also available as an upgraded package for $24.50-$49), a 1970s wedding cake of a house, with grand white pillars and Grecian statues out front. Inside, the place is appropriately gaudy – crystal chandeliers and curving staircases, a pool table on lucite legs and heavy wooden furniture with golden accents. It feels lavish but lived in, with family photos atop the grand piano and expensive heels still on the shelves of the closet of Newton’s wife Kathleen. 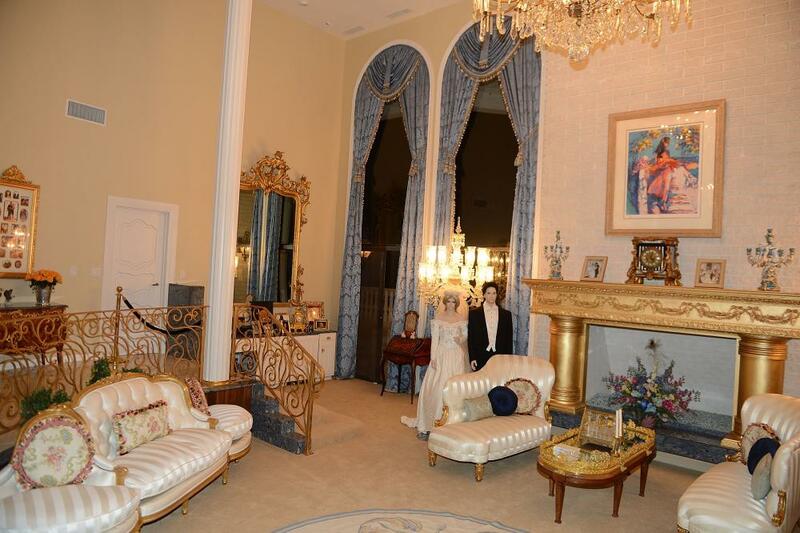 This is exactly how you picture Wayne’s home, a gilded throwback to a previous era of luxury, bold and flashy and unabashed in its cheesiness. And that, I realise, is the key to Casa de Shenandoah’s appeal. “Every single part of the ranch is Wayne Newton,” says Kathleen, in the video that plays inside the visitors’ centre. That’s exactly how it feels. Not hip or shocking, just authentically Wayne – beaded suits, velvety vocals and gold-trimmed everything. In fact, the biggest shock is this: it’s all rather charming.